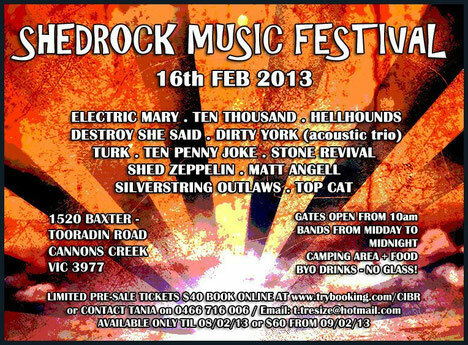 SHED ROCK MUSIC FESTIVAL 2013 will take place in Cannons Creek, Victoria, Australia on February 16th. Gates Open at 10am. DESTROY SHE SAID we featured will perform there.